The statistic shows the share of U.S. survey respondents who have cancelled their vacation plans, due to budget issues. 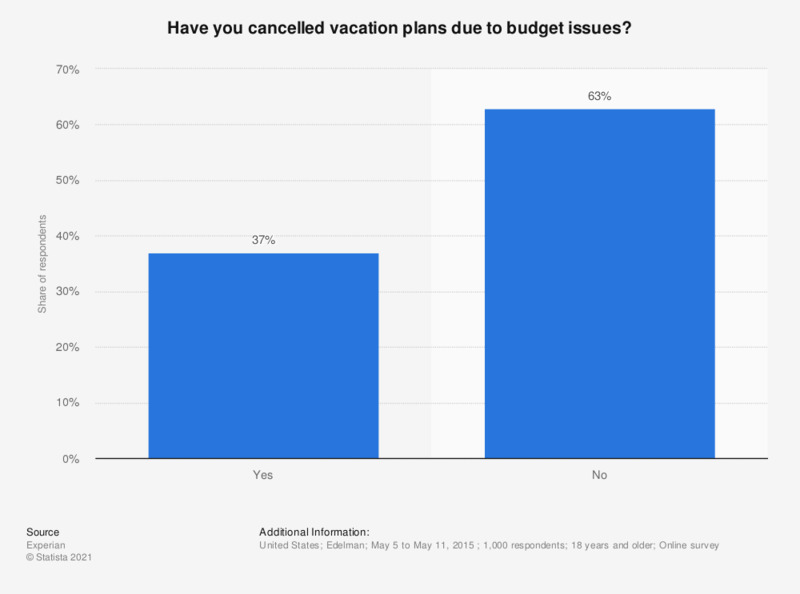 37 percent of respondents have cancelled a vacation due to budget issues. To what extent do you agree with the following statements. Do you typically use all of the paid vacation days you are provided by your company? What is the primary reason you don't use all of your vacation time? Women: On an average day, how many hours do you spend on the topic of travel?